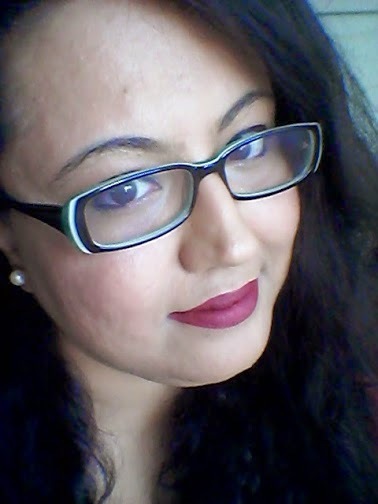 I am Neha and I'm a Lipztick-aholic! Phew! 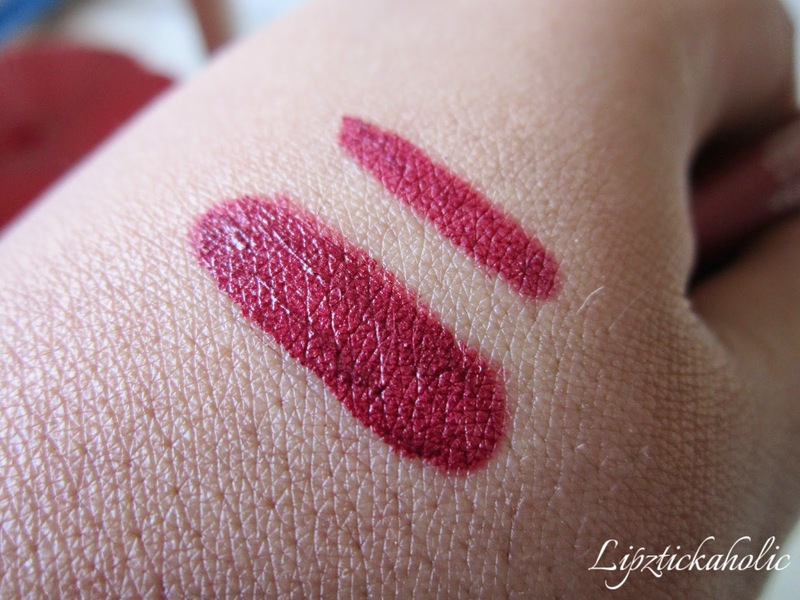 Now that I have confessed that and got it off my chest, let's get to the review of my latest love (in lipsticks of course!!). I have always loved budget makeup products but sometimes I'm okay with going slightly...slightly over-budget, when it comes to a beautiful product that I absolutely must-have. This, my friends, is one of those. 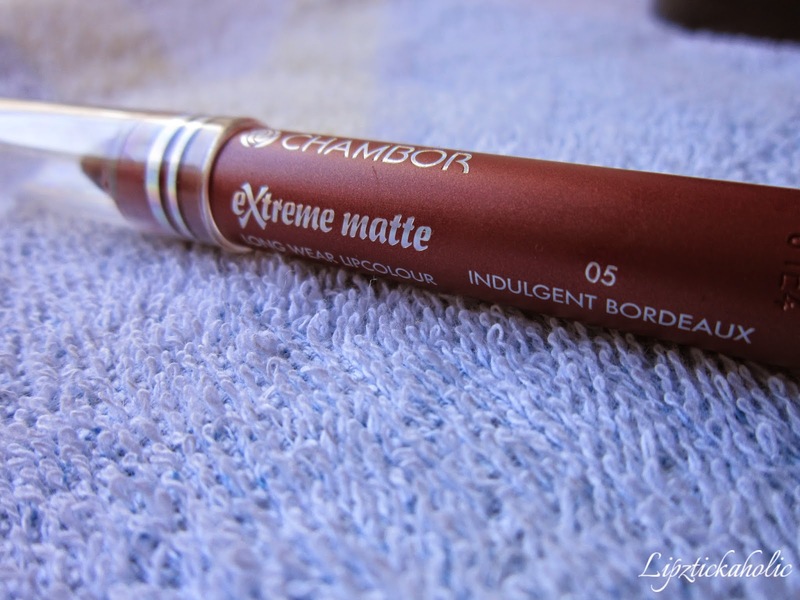 I'm talking about the Chambor Extreme Matte Long Wear Lip Colour in the shade Indulgent Bordeaux. Packaging is simple, yet sturdy. The skinny lip crayon (Yes, I’m going to call it that and you’ll know why, soon) comes with a colour-coded packaging with a transparent cap. This packaging is nice and easy when you have more than one shade from the same range. In a rush? Quickly pick up the shade you like, without even reading its name! Talking about the shade, it's a beautiful, deep wine colour as the name ‘Bordeaux’ suggests. This is one, richly pigmented crayon, so all you need one swipe and you're done! The formula is buttery, goes on smoothly on dry lips like mine & settles to a matte finish. Having said this, I have never felt uncomfortable with my dry, chapped lips with this on. If you have extremely dry and chapped lips, then try you might need to use a lip balm for a couple of mins and then wipe off before applying the crayon. 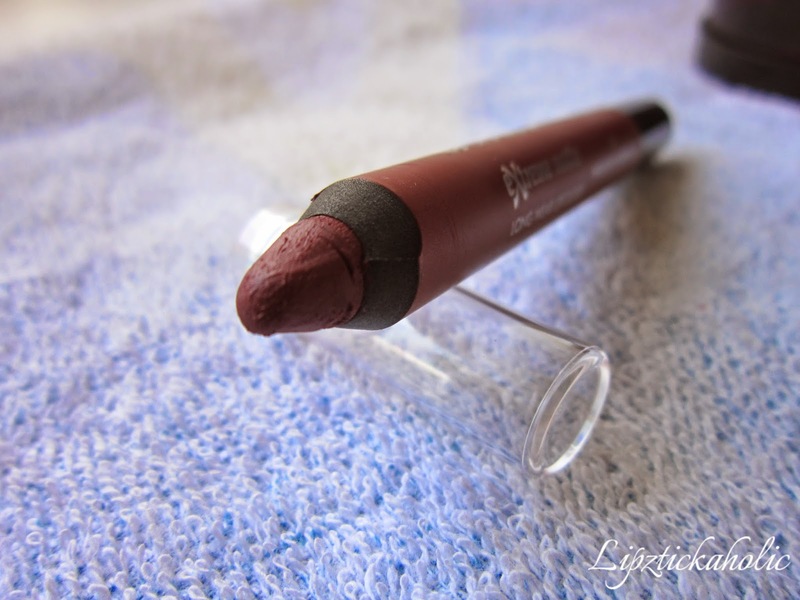 The lipstick stays on for a good 4-5 hours without fading, which means a 'BIG thumbs-up' for staying power! After meals and drinks, the lipstick tends to fade a little but still leaves behind a strong stain, which I am absolutely okay with. As long as, it does not leave me with bare, pigmented lips in full view, I am a happy camper! 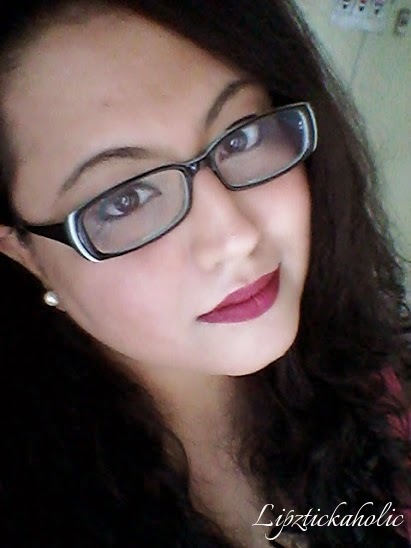 I have never owned a colour like this before, as I’m more of a ‘different hues of pink’ kinda person, however this lip colour made me aware of the lovely, so-called “Vampy” shades, that might really look nice on me. I absolutely love it now, since it fetched me lots of compliments.